H2O offers resistance with no impact. If you want to sculpt a strong physique, one of the best places to exercise is under water. 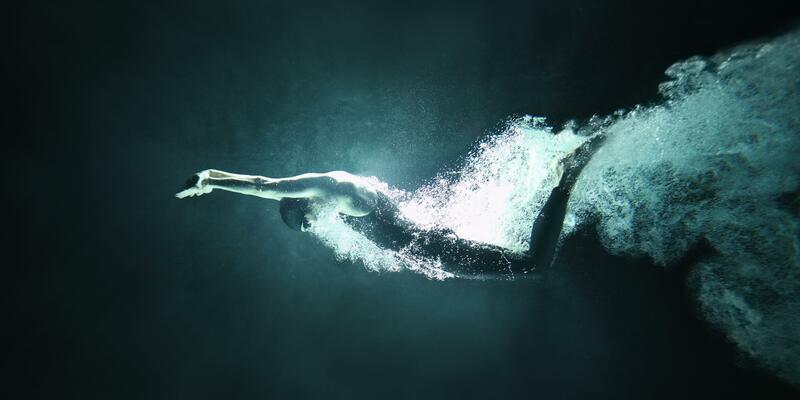 “The main advantage of exercising in water is that it offers resistance in all directions, compared to land exercises where you work only against gravity,” says Mark Hendricks, group fitness manager at Equinox Bay Street in Toronto, Canada. In fact, the resistance in water is four to 42 times greater than it is above ground, depending on how fast you’re moving. “This makes water a natural and instantly adjustable weight-training machine,” he says. Plus, water’s no-impact nature makes it a perfect complement to land-based activities like running, says Tier X coach Dan Daly, a Tier X coach at Equinox Columbus Circle in New York City and an Equinox Academy coordinator. Below are five expert-approved routines that, although gentle on the joints, are extremely challenging for the muscles. Sub-max load training like this is essential for mobility, flexibility, and total-body health. This high-intensity session, created by Daly, works you both in and out of the pool. Use the training tool in water and you have a next-level conditioning routine. If the natural resistance isn’t enough, make it more challenging by adding weights. These hard-and-fast sessions are the secret to speeding up.